FE 2007; Lays Flat Earth Veggie Chips — From Plano, Texas! 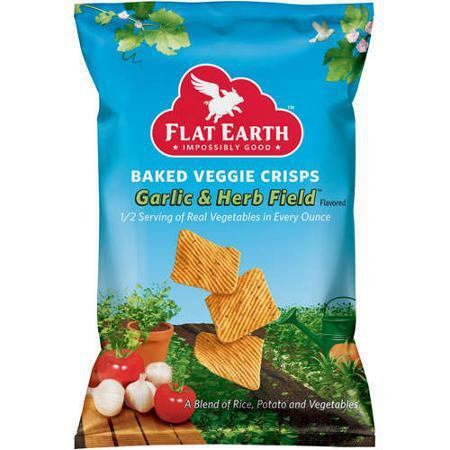 Flat Earth Fruit Crisps and Veggie Crisps Make What Some Believed Impossible, Possible. Who would have thought it. If you don’t think the Flat Earth is a monster psyop to further divide and delineate, I got a big friggin bridge to sell you!! I wonder if I can get some shipped to Georgia, hell it’s only a few states away, not like it’s the other side of th…… oops almost had me saying that “globe” word. *sigh* Indoctrination is a hard nut to peel away completly, ehh? Yes, me too, please! It’s only a few thousand miles strait to the east! Makes me wonder why a supposed flat Earth website would say this. Who runs this site anyway?